Human’s posse’s biological, psychological, and sociological needs. For example the need for affiliation & esteem needs, because people have an innate desire to be held in positive unconditional regard. The fastidious nature of humans has motivated humanity towards technological advances in hair care, and cosmetology as a whole. We have come along way in society. With modern advances, we have styling combs, straightening comb & decorative combs which reflex contemporary means of grooming. How many times have you walked into a store & seen someone hair that was hot mess? You know what I'm talking about! We are not living in the days of the cave man. This isn't bedrock & I'm not wilma Flintstone. So let's get it together ladies. We may not always be able to see a stylist, but we can pick up a styling comb & make our hair appear to be neat. As you know, we use styling combs because we aspire to be stylish & fashionable. We want to make heads turn when we walk pass someone. 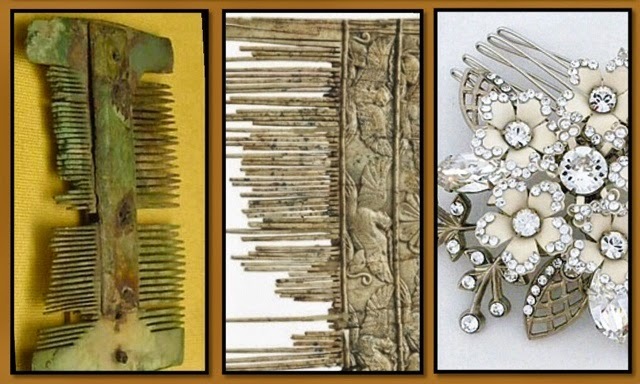 One of the basic hair necessities to help maintain & create beautiful styles is the styling comb which has been invented & improved upon for many years. They come in various styles & price ranges, depending on the material they are made from. Years ago, they were made from wood or animal bones. As time progressed, The Hyatt brothers discovered celluloid, the first synthetic plastic which made the price of combs cheaper & faster to make. This was good for the animals, because they were no longer in danger of becoming extinct. People are becoming increasing environmentally conscience, by creating environmentally friendly products that enhances both intrinsic and extrinsic beauty. The Past generations lead the way for fashion Accessories . I have seen some beautiful styles both natural & relaxed, but there has been an extreme increase in the natural styles lately.. Yes, I must say, some of you ladies are rocking that natural look fabulously. As we look back over the years many of our parents or grandparents may have wore their hair natural at some point. That brings me to another type of comb, which was used on natural hair. The Afro comb was one, but when a person wanted a relaxed look without the chemical they would heat a butter knife to straighten the hair. Later, the straightening comb AKA hot comb was invented. That was a significant improvement to the straightening process. The straightening comb is put on heat & use to press the curl pattern out of natural hair. When I think about this, I think about people at the beauty parlor getting all did up for their events & feeling like a million bucks. The straightening comb gave outstanding results, but now a lot of hair stylist are flat ironing the natural hair instead of using the straightening comb. Some patterns are easily flat ironed; meanwhile, others may still need the pressing comb. After the hair is either pressed or relaxed, it can be styled in a beautiful up-do style with a decorative comb.Those pretty fancy combs that decorate the hair styles emerged during the 1930's & 1940's. They were made from wood, bone, or feathers & decorated with gemstones or hand-paint. Today some of us are still wearing very glamorous Up-do styles. During prom & wedding seasons, you see beautiful decorative combs tucked in some up-do styles to accent the hair. So if you think this generation are the leaders of fashion, remember the past generations lead the way for style to repeat itself. So now that you & the stylist have the proper tools to help keep the hair neat, there's no turning back to the Stone Ages. I definitely have a styling comb to keep your hair neat; relaxer for those who want a permanent transformation; & you can bring the decorative comb to glamorize your style. You are ready to Move out of the dark ages & step into light. We are not Chimpanzees! 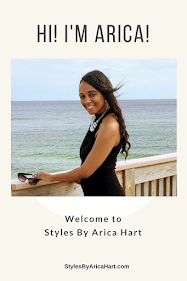 So step into the salon & get you a variety of classy hair Styles by Arica Hart. What are some things that you are happy we brought out of the dark ages into the light?